20 Steps: How love transformed one child’s life, and thousands more followed. It started with a single adopted child who learned to laugh, love and be loved. 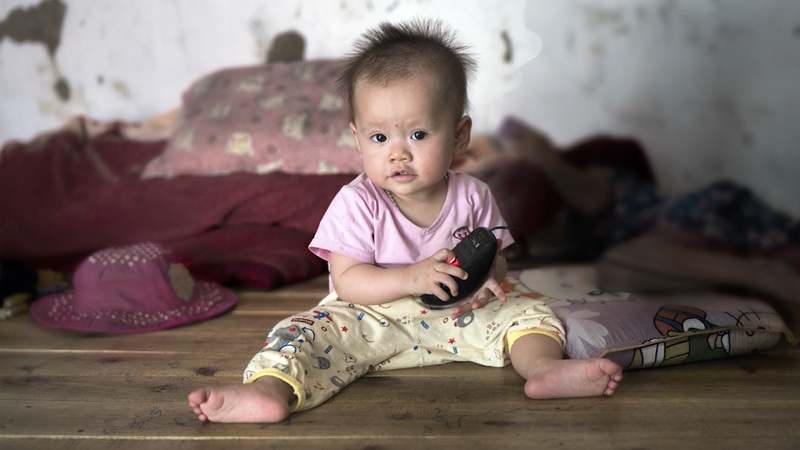 1 (1997) Jenny and Richard Bowen adopted their daughter, Maya, a toddler from a welfare institution in southern China. They received a first-hand education in early childhood development and the trauma of institutionalization. Maya suffered from both physical and cognitive developmental delays. However, after just one year of individual attention, love and nurture, she was transformed into a happy, smiling, loving child. 2 (1998) Half the Sky Foundation – named after the Chinese adage, “Women hold up half the sky,” was founded to train staff to provide family-like nurturing care for orphaned children. Today it is known as OneSky for all children. 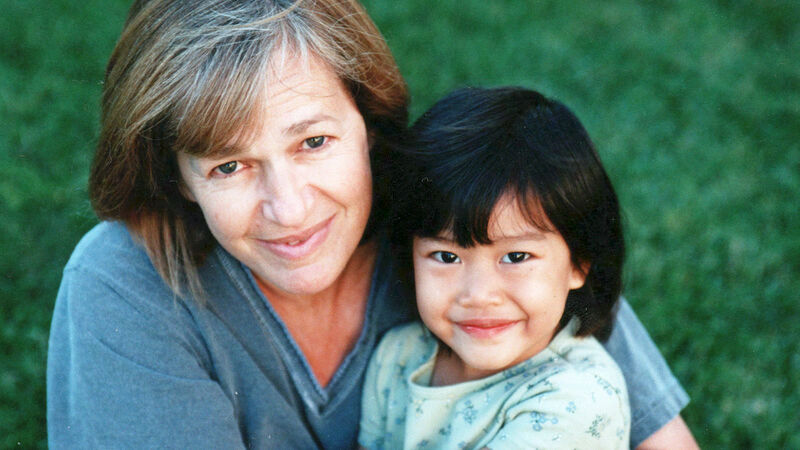 3 (2000) OneSky’s first pilot programs to evaluate whether infants and preschoolers living in institutions under the care of trained, loving nannies would thrive were launched. The results were remarkable – shutdown children with sad, vacant eyes blossomed. 4 (2003) OneSky celebrated its 5th anniversary by hosting a national conference on nurture and education in China’s welfare institutions in Hefei, Anhui. 5 (2003) With support from the Ford Foundation, OneSky published For the Children, a teacher and nanny training manual on its signature approach to providing high-quality, nurturing care for institutionalized children. a book of haunting black & white photographic portraits of children in Chinese orphanages by OneSky co-founder Richard Bowen. 7 (2005) OneSky established its Family Village program (now called Loving Families – see video above) to provide permanent, loving, two-parent homes for children whose physical and developmental challenges make them unlikely to be adopted. 8 (2008) OneSky received the 2008 Skoll Award for Social Entrepreneurship, presented in Oxford, England to Jenny Bowen by Former US President Jimmy Carter. 9 (2008) OneSky provided relief for 98 institutions affected by the snow disaster in early 2008. 10 (2008) In Dujiangyan, Sichuan, China, OneSky set up “Big Top,” giant tents with toys and games where children could be children again and receive emotional support (pictured below) following the horror of the Sichuan province earthquake. The disaster had killed 90,000 people and left 5 million homeless. 11 (2008) Jenny Bowen was an Olympic torch bearer in Wanzhou ahead of the Beijing Olympics, with children from OneSky’s programs cheering her on. 12 (2011) The groundbreaking public/NGO/private partnership, the Rainbow Program that trains welfare workers all over China, was launched at the Great Hall of the People on Children’s Day. 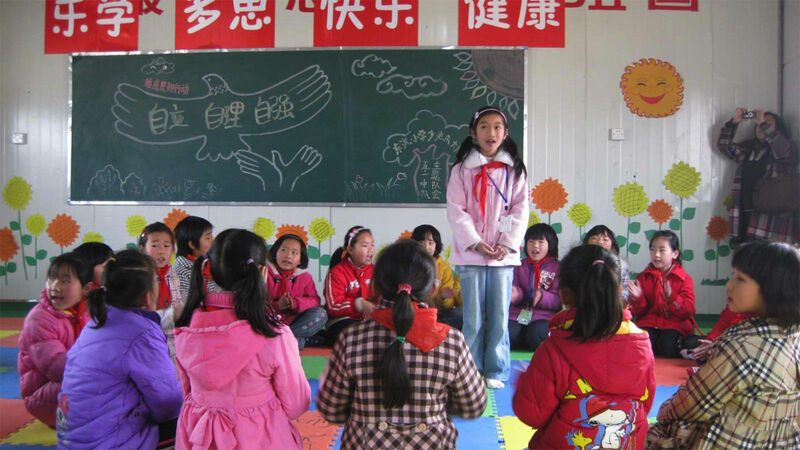 The Rainbow Program became the changing face of orphan care all over China. 13 (2012) To ensure that its long dreamed of goal to shift financial and operational responsibility for all that it built in China over to the Chinese, OneSky helped establish its sister organization, Chunhui Children, which was registered as a charity in Beijing. 14 (2014) OneSky Founder & CEO Jenny Bowen’s memoir and history of Half the Sky Foundation, Wish You Happy Forever: What China’s Orphans Taught Me About Moving Mountains, was published by HarperCollins. 15 (2015) OneSky launched its scalable Model for Children in Villages designed to ensure that 23 million children under seven left behind in impoverished rural villages while their parents work in faraway cities receive nurturing, responsive care (pictured below). 16 (2016) To reflect its broadened mission of creating and implementing transformative programs for at-risk children all over the world, Half the Sky changed its name to OneSky… OneSky for all children. 17 (2017) OneSky launched its Factory Model to begin the process of changing the prospects for the children of Vietnam’s Factory Workers. 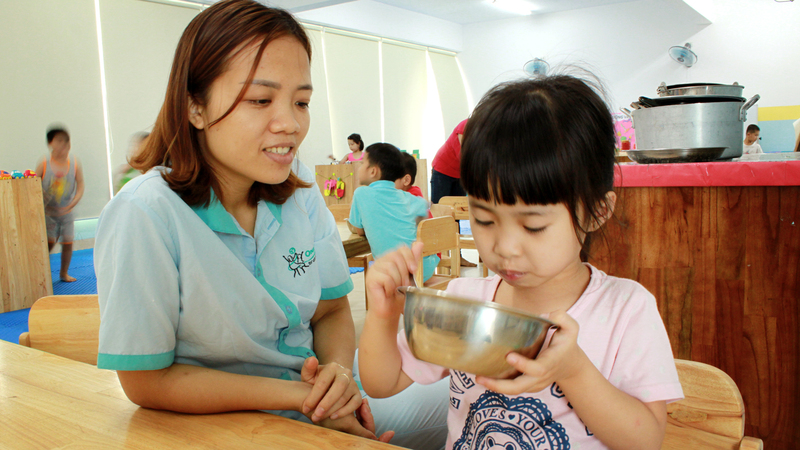 OneSky’s first factory Early Learning Center (pictured below) was designed to provide care for young children in the Hoa Khanh Industrial Zones in Da Nang while their parents work in nearby factories. 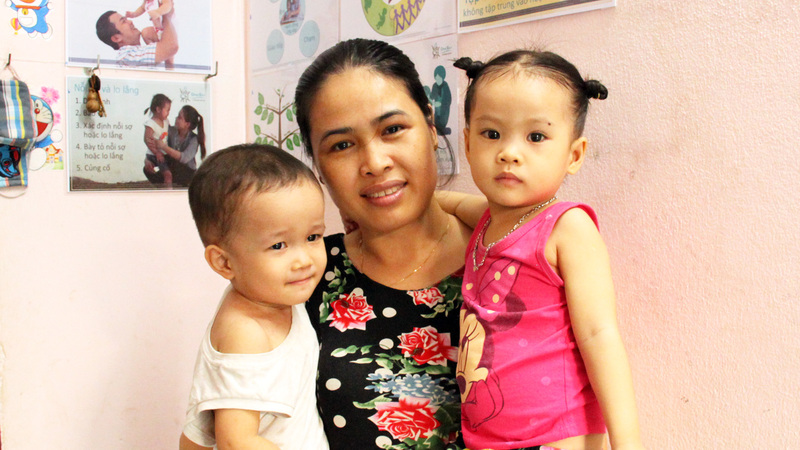 18 (2018) OneSky’s Early Learning Center in Da Nang Vietnam is now providing nurturing care to over 200 children aged from six months to six years old and also serving as hub for an outreach program launched to train local home daycare providers in early childhood care and education best practices. 19 (2018) At OneSky’s Hong Kong Gala, Jenny Bowen announced plans to develop a center of excellence in early childhood care and education. 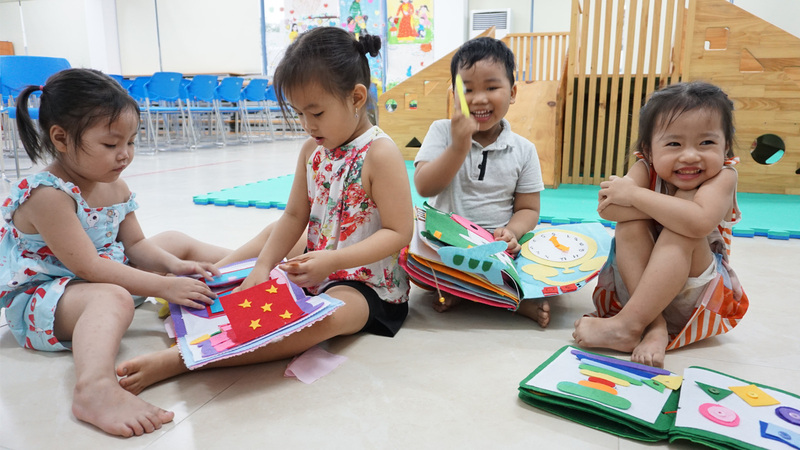 The new OneSky Global Centre for Early Childhood Development in Hong Kong will be a central hub for collaboration, modeling, and training of trainers, aiming to lead social innovation and transformative change in the lives of vulnerable children throughout Asia. 20 (2018) OneSky celebrated 20 years of helping children. One child at a time… OneSky has improved the lives of almost 170,000 children – and we’re just getting started!